$10.00; $20.00; $25.00; $30.00; $40.00; 45.00; $50.00; $60.00; $75.00; $100.00; $150.00; $175.00; $200.00; $300.00; $400.00; $500.00. This is the perfect gift for any occasion. One size fits all! 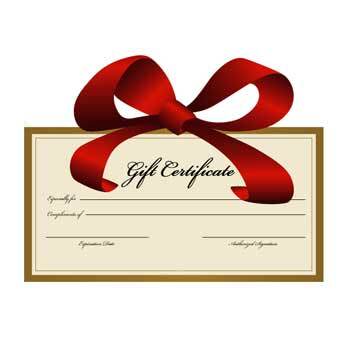 Gift Certificates are valid for any items at Saratoga Flag.